Activists supporting peace talks took to the streets Thursday, holding demonstrations at 20 key junctions across the nation. Among those expressing their support for the peace process were Yesh Atid activists, who were surprised to receive a visit from Finance Minister Yair Lapid. Lapid addressed the demonstrators and expressed optimism at the political process, saying: "A political process is under way; we are here because it is real." He added that "we will not miss this chance, it is time to separate from the Palestinians." 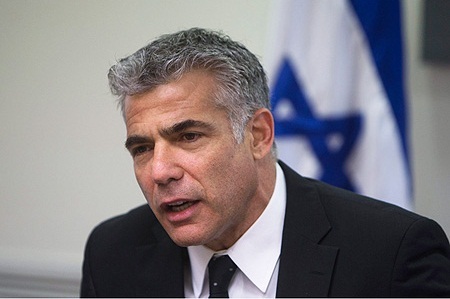 Lapid further stressed that it was important to show Prime Minister Benjamin Netanyahu that there is support for a peace deal. "Yesh Atid will not allow this chance to be missed." The finance minister noted that the economic situation is improving and is inseparable from the political process. He further promised that his party activists will continue to demonstrate for peace both in Israel and with Palestinians. Also on Thursday, Habayit Hayehudi Chairman Naftali Bennett came to Tu B'Shevat celebrations in Hebron where he planted an olive tree. "We are planting an olive tree today, and those children planting it will enjoy its fruits, along with their grandchildren and great-grandchildren. We will be here forever." He also mentioned US Secretary of State John Kerry's proposal to install plasma screens and other electronic devices as a substitute for armed forces in the Jordan Valley, and emphasized that "while conversations on plasmas are taking place, we are talking about real children and real people." The US Consulate General in Jerusalem on Thursday hinted at a second incident in days of Israeli criticism of US Secretary of State John Kerry. On its Facebook account, the consulate linked to a story on an Israeli news site that refuted claims by Israeli Minister of Housing Uri Ariel that Kerry approved his plan to build 1,400 new settlement units in the West Bank. The story quoted a US official as saying: "Our position on settlements has not changed, and we have consistently communicated our objection both publicly and directly to the Israelis on settlement announcements." "In case you missed it on Monday, the U.S. official in this story got it right," the consulate noted. Days earlier, after the Israeli defense minister undermined Kerry's efforts to finalize a peace agreement between Israelis and Palestinians, the State Department asked Israel's prime minister to publicly express his disagreement. Though Prime Minister Benjamin Netanyahu gave no official comment, he seemed to exert pressure on the minister, Moshe Yaalon, whose office issued a statement of apology Wednesday. 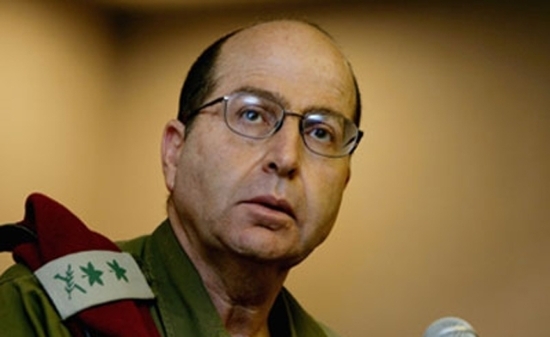 Yaalon had described Kerry Tuesday as having an "obsession" with Middle East peace. In a private conversation with Israeli officials, Yaalon said Kerry's plan was "not worth the paper it was written on." A "Jew free" Palestinian state would be tantamount with ethnic cleansing said Israeli Prime Minister Benjamin Netanyahu in an interview with Canada's CTV, reports the algemeiner. "It's absurd that we're willing to recognize, that I'm willing to recognize the Palestinians, but in exchange, they're not willing to recognize the Jewish state, the nation state of the Jewish people. There's something wrong there", said Netanyahu, highlighting that, due to him, the crux of the disagreement in the negotiations is not about the settlement or about territories, but about the recognition of Israel as a Jewish state. In the interview Netanyahu also stated that the Palestinians living inside Israel have full civic rights and are not asked to leave. Israeli Prime Minister Benjamin Netanyahu said that a ”Jew-free” Palestinian state, now being contemplated in peace talks, would be tantamount to ethnic cleansing, in a trailer for an hour-long interview with Canada’s CTV to be broadcast this week. He said that rather than the issue of settlements, the crux of the disagreement is the Palestinian Authority’s refusal to recognize a Jewish state. “I think the issue of settlements will be resolved, the question of the territories, in general, will be resolved in the negotiations. I don’t think it’s the heart of the conflict, though I know people think of it that way, but it isn’t, it isn’t so,” Netanyahu said. 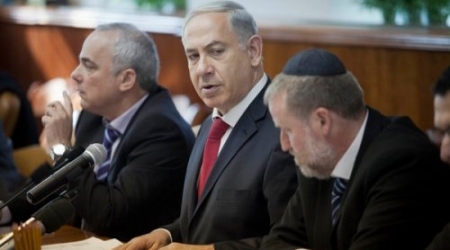 With three more months before a U.S.-set deadline for the talks, Netanyahu said he was hopeful that the talks succeed. “I hope they don’t fail, and I hope we can do everything we can to have a successful outcome. We’re ready to do it, i’m ready to do it,” he said. 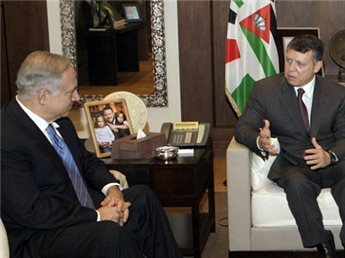 Jordan's King Abdullah II held talks with Israeli Prime Minister Benjamin Netanyahu in Amman on Thursday. "King Abdullah and Netanyahu discussed peace process developments in light of the current US-sponsored Israeli-Palestinians peace negotiations," a palace statement said. Last week, King Abdullah met with President Mahmoud Abbas to discuss the Israeli-Palestinian peace process. The king said at the time that it was a priority to protect Palestinian national interests, especially regarding a final status agreement. US Secretary of State John Kerry coaxed the two sides back to the negotiating table in July after a three-year freeze, and they have agreed to keep talking for nine months. Israel has issued plans for thousands of illegal settlements since talks began and insists on having a military and civilian presence in the Jordan Valley, a third of the occupied West Bank. Secretary-General of the Palestinian Liberation Organization (PLO), Yasser Abed Rabbo, stated that the Palestinian leadership rejects the proposed agreement presented by U.S. Secretary of State, John Kerry. Abed Rabbo said that what Kerry is proposing is a Palestinian state that has no capital, no borders, and is trying to get the Palestinians to recognize Israel as a Jewish state. He added that Kerry agrees with the Israeli conditions that reject any eviction of settlement blocks, and many settlements, is adopting the Israeli stance that rejects any Palestinian control over borders, and is suggesting a “state” with no sovereignty. 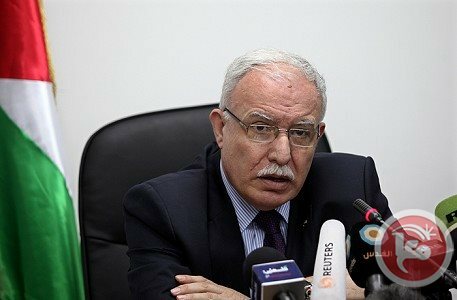 In a press conference with political leaders of the Palestinian Liberation Organization (PLO), Abed-Rabbo said that the proposed agreement also demands the Palestinians to accept and recognize Israel’s illegitimate settlements, mainly its settlement blocs, built in direct violation of International Law. “The peace process is hitting large walls, walls of Israel’s illegitimate settlements, Israel’s rejection to recognize our internationally guaranteed rights. Tel Aviv is just placing more obstacles and preconditions”, he said, “Israel wants to build a Wall in the Jordan Valley, similar to its apartheid wall west of the West Bank, so that it can keep its illegal settlements and military bases”. Abed-Rabbo further stated that even the American mediator does not know the exact size of Israel’s settlements, especially since Israel keeps expanding them through its illegal confiscation, and theft of Palestinian lands. “By demanding us to recognize it as a Jewish State, Tel Aviv is demanding us to drop our legitimate, historic rights, Kerry is demanding us to adopt Israel’s version”, the official said, “Jerusalem will face the same fate, what kind of a state they are talking about?, a state with no borders, no capital…”. He further stated that the Executive Committee of the PLO has granted a green light to the Political Committee to resume its efforts to join more international organizations, including UN institutions. “The Palestinians must join international organizations”, Abed-Rabbo added, “We need to search for an international mediator for peace talks, the U.S. has failed, and is just adopting Israel’s demands and preconditions”. Furthermore, a senior Palestinian official told the Xinhua Chinese News Agency, that the Palestinian leadership would resume its international activities in April, once the nine months of direct talks, under American mediation, expire. Member of the PLO Executive Committee, Taiseer Khaled, said that the United States and Israel have two main coherent positions rejecting the Right of Return of the Palestinian refugees, and demanding the Palestinians to recognize Israel as a Jewish State. “They want us to drop the legitimate rights of the displaced Palestinians, they are proposing settling the refugees in countries they live in, or in a different state”, Khaled said, “Israel does not admit to its responsibility for displacing the refugees, it does not recognize their rights, and wants the international community to deal with them”. The official said that what Kerry is asking the Palestinians now is partially based on proposals by former U.S president, Bill Clinton, who suggested the return of some externally displaced refugees to the Palestinian territories, and not back to their lands in historic Palestine. Kerry also wants other countries, especially Arab states, to provide residency rights to the refugees. Israel's defense minister may have apologized for his offensive comments about US Secretary of State John Kerry but his outburst could see him marginalized by Washington, commentators warned on Wednesday. A furious diplomatic row erupted between Israel and its closest ally on Tuesday when Defense Minister Moshe Yaalon was quoted as saying Kerry had an "obsession" about the peace process and was working out of a "sense of messianism." Washington immediately lashed out at the "offensive" remarks, demanding an apology, which was eventually published by Yaalon's office late on Tuesday, although it stopped short of denying the comments. "The defense minister had no intention to cause any offense to the secretary, and he apologizes if the secretary was offended by words attributed to the minister," it said, expressing appreciation for Kerry's efforts to advance the ongoing peace talks. His remarks also sparked a welter of criticism inside Israel, with several cabinet ministers and the opposition saying many officials saying his personal attack on Kerry was inappropriate. Although the statement appeared to head off the crisis, commentators said Yaalon's dismissive comments could cost him dearly. 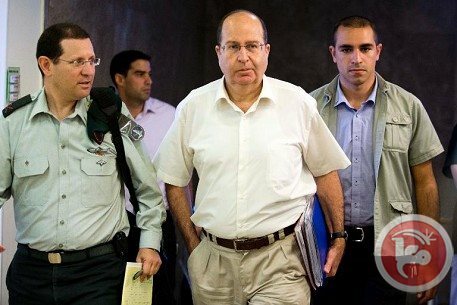 "The Americans have long marked Yaalon as a possible obstacle to reaching a peace agreement," wrote Nadav Eyal in Maariv newspaper. 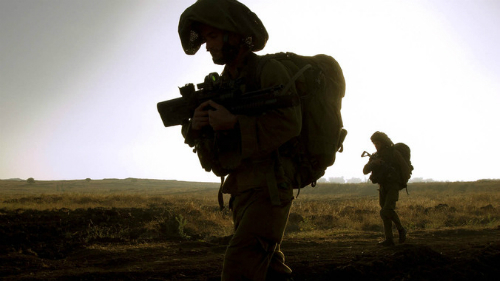 "The problem isn't what Yaalon said about the peace talks. The problem is Yaalon's personal attack" on Kerry, he wrote, saying the minister had made a "beginner's error" which could cost him a seat at the table with the Americans. "His opposition to the negotiations -- whether in principle or tactical -- may position him politically, but could also, if mishandled, make him irrelevant," Eyal concluded. The left-leaning Haaretz newspaper took a similar line. "It is still difficult to assess the damage caused by Defense Minister Yaalon's disgraceful, mocking and arrogant comments," diplomatic correspondent Barak Ravid wrote. Yaalon, he said, appeared to have abandoned his role as a "responsible adult" in the previous government for one formerly played by Foreign Minister Avigdor Lieberman: "that of the volatile minister who is boycotted in Washington." Lieberman, a normally outspoken hardliner who has taken a more moderate stance since returning to office in November after being acquitted of corruption allegations, on Tuesday issued a rebuke directed at Yaalon, saying there was "no place for lashing out personally." "Lieberman has learned his lesson. He understood that his crude style toward the Americans hurt him... so he made an effort to build good relations with Kerry despite their disagreements," Ravid wrote. 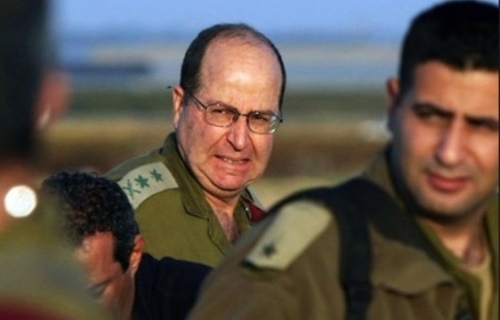 "Even after his apology, Yaalon still has to find a way to rehabilitate his relations with Washington. Otherwise he will see the inside of the White House and Pentagon only in photographs." Since being appointed secretary of state in February 2013, Kerry has visited the region 10 times in a bid to push forward the peace process, recently outlining a detailed plan for security in a final deal - which was utterly dismissed by Yaalon. But a senior official in the ruling right-wing Likud said the defense minister had merely vocalized what Prime Minister Benjamin Netanyahu was thinking. "Boogie said out loud what Netanyahu would like to say," he told Yediot, using the defense minister's nickname. "You hear his aides in the bureau and you understand the spirit of things. Kerry is a burden." Opposition leader Isaac Herzog said the incident showed Netanyahu's ruling party had no interest in pursuing peace. "The defense minister's insulting and offensive lashing out at Secretary of State Kerry exposes Likud's true face," he said late on Tuesday, accusing the government of having "no vision for peace." But Shimon Shiffer, the Yediot correspondent who first reported Yaalon's remarks, said the problem lay predominantly in the way the US-led negotiations were being conducted, which had forced Israel into an impossible corner. "The negotiations ... are being pursued at present with an insulting lack of transparency," he wrote. "The parameters of the agreement that they are proposing could end in a security catastrophe for Israel, but if we insist on our vital security interests they will lay responsibility for the failure of the talks on us. "And if that is the situation, it is no wonder that the defense minister is furious," he wrote, saying Yaalon's remarks were aimed at his own government. "Essentially, Yaalon was urging Netanyahu and (chief negotiator Tzipi) Livni to stop being so terrified, to stop playing make-believe and to start sharing with the Israeli public the things that are happening behind the scenes in the negotiations," he said. 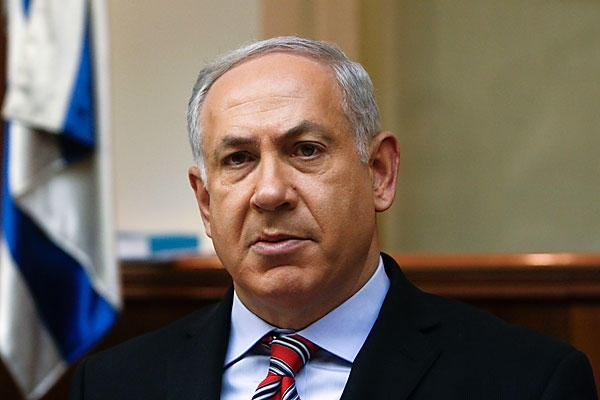 Prime Minister of Israeli occupation Benjamin Netanyahu provided the recognition of Israel as a Jewish state to reach a peace deal agreement with the Palestinian negotiators. Netanyahu has made such recognition the pillar of his public statements in the recent weeks, calling it “the real key to peace,” “the minimal requirement” and “an essential condition.” Israeli, American and Palestinian officials all say it has become a core issue in the negotiations that started last summer. 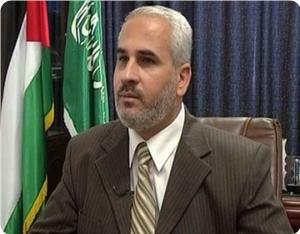 Ezzat Resheq, member of Hamas's political bureau, warned the Palestinian negotiator against responding to the options proposed by US secretary of state John Kerry concerning resolving the issue of refugees, which cancel the right of return. Resheq said in a press statement on Wednesday that Kerry's options represent a conspiracy against one of the Palestinian constants that is the right of return, and stressed that the Palestinians at home and abroad will not accept any option except the return to their homeland. 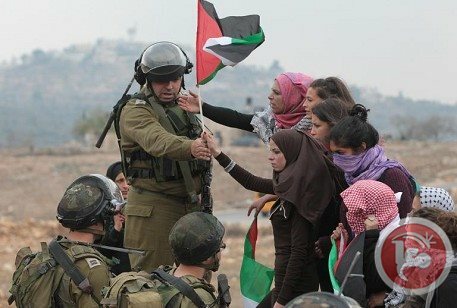 He emphasized that the right of return of Palestinian refugees to their towns and villages from which they have been forcibly displaced is a sacred inalienable right, and that any partial or interim solution that does not include recognizing the right of return of all refugees is unacceptable. Resheq also called on all the Palestinian factions and forces to adopt a unified position against Kerry's plan that aims to liquidate the Palestinian cause. Meanwhile, a number of Palestinian institutions in Europe that are active in the field of the right of return denounced the statements made by Mahmoud Abbas, in which he considered the right of return an individual right and alluded to the possibility of compensating the refugees in exchange for ceding their right to return to their homeland. These institutions said in a statement that Abbas's remarks would pave the way for new concessions regarding the Palestinian rights, and stressed that the right of return is legally guaranteed as an inalienable, individual and collective right. They also confirmed that no one has the right to dispose of the right of return, and called on the Palestinian leadership to adopt a national strategy that will end the suffering of the Palestinian refugees. Although the United States has insisted to the Israelis and Palestinians that all five permanent-status issues are part of the US-brokered negotiations, it was only when an Israeli radio report mentioned the issue that the topic suddenly gained credibility in the eyes of many skeptics. The Palestine News Network (PNN) ran a short translation from Israeli radio, confirming that US Secretary of State John Kerry had made reference to the issue of Palestinian refugees and that he had put forward four locations for their absorption. Kerry's suggestion no doubt reflects the various discussions, differences and understandings between Israel and the Palestinians. The Palestinians have repeatedly insisted that Israel acknowledge its historic and moral responsibility in creating the Palestinian refugee problem. Many expect that this issue, more than any actual agreement on numbers, could be the gateway to a breakthrough. After the issue of who is responsible is resolved, it is understood that Palestinian refugees are to be given choices, including returning to their homeland in Palestine, staying where they are or going to certain third countries. 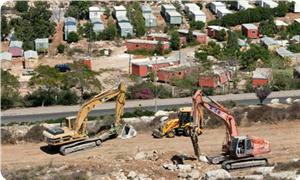 The fourth option, which is highly contested, calls for some Palestinians to settle in Israel. The issue is finessed by having this small population absorbed over a number of years based on Israel approving it within the context of family reunification. The Arab Peace Initiative dealt with the issue of refugees by citing UN Resolution 194, which calls for the right of return. The initiative perspective then added, however, that "an agreed" solution must be found. This key phrase gives the Israelis a virtual veto on any solution it does not consider acceptable. The discussions on this issue over the years are best summarized in a Canadian effort referred to generally as the Ottawa Process, a mostly academic project led by Canadian academics and former diplomats connected to McGill University. The project's website, Palestinian Refugee ResearchNet, contains research and discussions on the history of Palestinian refugees and various proposals regarding them. This information is available to everyone. Experts in refugee issues say that putting aside politics, polemics and narratives, the most efficient way to resolve the Palestinian refugee issue requires three basic steps: acceptance, choosing return options and implementation, including compensation. Refugees agreeing to resolve their status in this way would have to sign a document to that effect and would receive an immediate cash payment. This would also necessarily require them to sign off on which of four countries they would like to adopt as their permanent home. Abbas Shiblaq, editor of the refugee newsletter Shaml, noted in 1996 the following in regard to implementation of the right of return: "It would be naive to assume that political considerations and developments of the last fifty years will not have an impact on the way that this right might be implemented." Shiblaq and other McGill University experts assert that not every single refugee will return. They base this conclusion on a number of surveys of refugees, including a comprehensive study by Khalili Shikaki of the Palestinian Center for Policy and Survey Research. He found in 2003 that less than 10% of Palestinian refugees in the West Bank, Jordan and Lebanon were willing to return to historic Palestine and become Israeli citizens. At one time, it was argued that the refugee issue involved two groups: those (laji'in) who became refugees in 1948 and those (nazihin) displaced in 1967. The idea was that the Palestinians displaced from the West Bank in 1967 could be returned immediately, without waiting for resolution for the 1948 refugees. This idea was scrapped, however, after the eruption of the second intifada in 2000, and the idea prevailed for a resolution involving all registered refugees with the United Nations Relief and Works Agency (UNRWA). The status of UNRWA, created in 1948, is itself also hotly debated. One suggestion put forward is to dissolve it within 10 years of any agreement. The Israelis insist that whatever agreement is reached, that will be considered the end of negotiations on it, closing the entire file forever. While many worry that the refugee issue is a deal breaker, leading Palestinian thinkers such as Al-Quds University President Sari Nusseibeh feel that the disagreements over the right of return — while extremely personal and emotional — are less difficult to resolve than, say, issues of borders or Jerusalem. As with all the permanent-status issues, however, neither side will reveal its final position on any topic until there is a comprehensive agreement that can be sold to the public as a single, closed package that must be accepted or rejected in its entirety. Hamas Movement renewed its rejection of talks resumption between Palestinian and occupation authorities in light of the imbalance of power in favor of the Israeli occupation. Member of Hamas' Political Bureau, Sami Khater, warned that US secretary of state John Kerry's framework agreement did not meet the minimum limits of Palestinian rights. Khater expressed his movement's total rejection of the current negotiations in light of the imbalance of power in favor of Israeli occupation "especially that the results will certainly be at the expense of the weaker party". No Palestinian can accept Kerry's plan that states the Jewishness of Israel, neutrality of Jerusalem, exchange of land, and liquidation of right of return, he said. 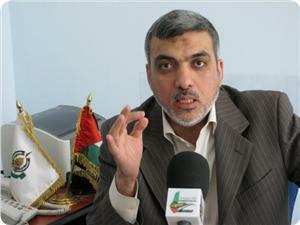 Khater said that Hamas had informed the PA negotiating team of its rejection of the negotiation process. 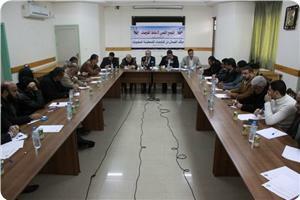 Meanwhile, a workshop has been organized by the Popular Assembly against Negotiations on Tuesday at Engineers Union headquarters in Gaza under the title "Palestinian factions' position towards Israeli-Palestinian negotiation." During the workshop, Palestinian factions voiced their rejection to the current negotiation process, saying that it aims at liquidating the Palestinian cause and covering Israeli crimes. Dr. Sami Abu Zuhri, spokesman for Hamas movement, pointed out that talks’ resumption came at a time of weak regional and Arab situation. He said that PA Chairman Mahmoud Abbas is not entitled to carry out the negotiation process amid a national consensus against peace talks, stressing the need to achieve reconcilation. For his part, Dr. Ahmed al-Modalal, a leader in Islamic Jihad Movement, stated that the current round of negotiation came to liquidate the Palestine cause, saying that the Palestinian people will never give up their legitimate rights. He also called for re-activating the resistance option. The Israeli occupation authority (IOA) is planning to establish hundreds of new agricultural projects in the occupied Syrian Golan heights, Hebrew press reported. The Walla Hebrew website said on Tuesday that the Israeli government had endorsed in its last Sunday meeting a five-year plan to develop new agricultural areas in the Golan to be used by Jewish farmers. It said that the government would open 750 new agricultural projects in that period to the tune of 115 million dollars including the cost of removing mines and the establishment of water networks. The website said that the plan envisages the reclamation of around 30,000 dunums near to the Jewish settlements to encourage tourism and farming and to create new work opportunities. The office of Israeli Defense Minister Moshe Ya'alon issued a statment on Tuesday, saying: "Israel and the United states share a common goal to advance the peace talks between Israel and the Palestinians led by Secretary Kerry. "We appreciate Secretary Kerry's many efforts towards that end. The defense minister had no intention to cause any offense to the secretary, and he apologizes if the secretary was offended by words attributed to the minister." Israeli Prime Minister Benjamin Netanyahu spoke by phone with a senior US official in a bid to smooth over a diplomatic controversy sparked by comments attributed to Israeli Defense Minister Moshe Ya'alon, an Israeli official said on condition of anonymity. The official added that Ya'alon also discussed the matter with US Ambassador Dan Shapiro. Earlier on Tuesday, Yedioth Ahronoth reported that the Israeli defense minister suggested that US Secretary of State John Kerry's quest for Israeli-Palestinian peace was messianic and obsessive. "The remarks of the Defense Minister (Moshe Ya'alon), if accurate, are offensive and inappropriate especially given all that the United States is doing to support Israel's security needs," State Department spokeswoman Jen Psaki said in a brief statement that constituted a rare rebuke to close ally Israel. "To question Secretary Kerry's motives and distort his proposals is not something we would expect from the defense minister of a close ally," White House spokesman Jay Carney said. Israeli Prime Minister Benjamin Netanyahu stressed that "The United States is our greatest ally," noting: "We are working in cooperation with the US president, the vice president... and the secretary of state. We are making efforts to promote peace, security, and stability in the region. We maintain our interest, while cultivating this important tie between the two nations. We strive to reach a true peace accord. We do not want a bi-national state but we also don't want an Iran-backed state that will try to annihilate the State of Israel. Earlier Tuesday, Israeli Defense Minister Moshe Ya'alon made remarks about US Secretary of State John Kerry, calling his efforts "misplaced obsession and messianic fervor. His words sparked a rash of furious comments in the Knesset's hallways on Tuesday, with Israeli chief negotiator Tzipi Livni accusing him of damaging bilateral relations. Ya'alon expressed his great skepticism of Kerry and the US's efforts, both in private conversations in Israel and in the US. "The American security plan presented to us is not worth the paper it's written on," Ya'alon said. "It contains no peace and no security. Only our continued presence in Judea and Samaria and the Jordan River will endure that Ben-Gurion Airport and Netanya don't become targets for rockets from every direction. " He called Kerry's passion out of place. "American Secretary of State John Kerry, who turned up here determined and acting out of misplaced obsession and messianic fervor, cannot teach me anything about the conflict with the Palestinians." The US State Department on Tuesday condemned as "offensive and inappropriate" reported comments by Israel's defense minister criticizing a security plan put forward by US Secretary of State John Kerry. "The remarks of the defense minister if accurate are offensive and inappropriate especially given all that the United States is doing to support Israel's security needs," spokeswoman Jennifer Psaki told reporters following a visit by Kerry to the Vatican. He goes on to state that, “The moment we leave Judea and Samaria he [Mahmoud Abbas] is finished. In reality, there have been no negotiations between us and the Palestinians for all these months – but rather between us and the Americans. The only thing that can 'save us' is for John Kerry to win a Nobel Prize and leave us in peace." According to the Egyptian newspaper Al-Masry-al-Youm, Kerry has asked the Arab League to push the Palestinians for some concessions so that he can push the Israelis for something similar, Ynet reports. The question of recognizing Israel as a Jewish state is however something that the Palestinians will never do. 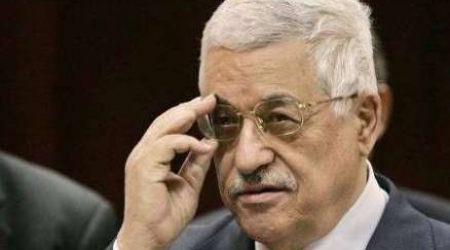 Thabet Organization for the Right of Return denounced Palestinian Authority Chairman Mahmoud Abbas's recent remarks in which he considered the right of return a personal and optional right that can be substituted. The organization said that Abbas's remarks are consistent with US secretary of state John Kerry's plan, which aims to liquidate the Palestinian cause and cancel the right of refugees to return to their homeland in 1948 Palestine. 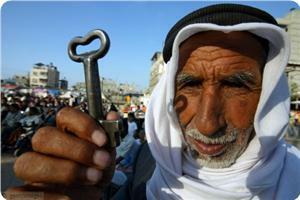 It said in a statement that the right of return is inalienable and that no one has the right to relinquish it. The statement also stressed that any agreement to cancel the right of return is legally void, according to the second article of the Fourth Geneva Convention of 1949. "The Palestinian refugees refuse all forms of resettlement, displacement or alternative homeland, and adhere to their right to return to their homeland Palestine. Their stay in the Diaspora is only temporary," Thabet organization added. It called upon the PA leadership in Ramallah to back down from such remarks, put an end to the futile negotiations and adopt a national strategy that promotes Palestinian unity and protects the constants and rights, especially the right of return. It also asked the PA to pay attention to the issue of the Palestinians in Syria, especially those besieged in the Yarmouk refugee camp and work on lifting the blockade on it and allowing the entry of humanitarian aid to the camp before it is too late. For his part, the head of the Jordanian Society for the return and refugees Kazem Ayesh warned in a press statement of the ongoing negotiations, led by U.S. Secretary of State John Kerry, which would deprive the refugees from returning to Palestine. Ayesh considered Abbas's comments an assault on the right of refugees to return to their homes from which they were forcibly displaced, stressing that the negotiating team does not have the right to waiver any Palestinian right or constant. "The publication of the latest tenders for new homes were coordinated with U.S. Secretary of State John Kerry and that he approved of them." the Israeli Minister of Housing and Construction, Uri Ariel , said. "Even if the United States does not approve of the construction, it will continue," he added. "The United States is our greatest ally, but they also sometimes take actions we do not approve of." The announcement was made Friday with the approval of Israeli Prime Minister Benjamin Netanyahu and came on the heels of the release of 26 Palestinian prisoners. Last week, the Israel Land Authority and Ministry of Construction and Housing announced the publication of 1,400 new construction tenders east of Jerusalem, and several areas in the West Bank. US Vice President Joe Biden on Monday urged Israel to seize this moment in history to make peace with the Palestinians in talks with President Shimon Peres. At a working meeting after the two leaders paid their last respects to former Israeli prime minister Ariel Sharon, who was buried on Monday, the talk turned to the US-led direct peace talks. "The one place (in the region) where there's a possibility for an island of stability ... is between the Palestinian people and the Israeli people, in two secure states respecting one another's sovereignty and security," Biden said in remarks relayed by the White House. "And the president believes and I believe that this is one of those opportunities, one of those moments in history where it has to be seized." At the end of July, US Secretary of State John Kerry coaxed Israel and the Palestinians into their first direct peace talks in nearly three years, with the parties agreeing to a nine-month timetable for reaching a deal. So far, there has been little visible progress, and Biden admitted there were some "very difficult decisions" ahead. But he expressed confidence that Israeli Prime Minister Benjamin Netanyahu was "up to" the task and expressed hope that the same was true of Palestinian leader Mahmud Abbas. "Israel's ultimate security rests in a genuine accommodation with the Palestinians that it is born out of secure borders that are peaceful," he said. The US vice president arrived in Israel early on Monday to represent Washington at Sharon's funeral, with Peres hailing his timing. "Your coming is timely, important and moving. You came not only on a sad day but during days that Israel has to take tough decisions," he said in remarks relayed by his office. "All of us are aware that we have to take the decision now, that it's tough and difficult but we have an open window and God knows when it will happen again." 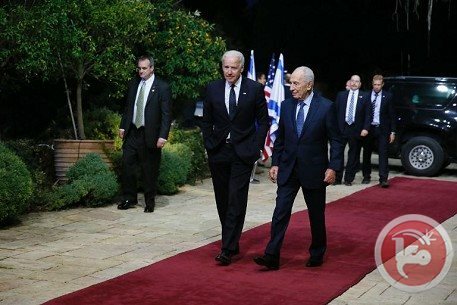 Biden then went for a dinner meeting at Netanyahu's Jerusalem residence, although there was no immediate word on the content of their talks. The last time Biden visited Israel was in March 2010 on a visit which was overshadowed by an Israeli announcement of plans to build 1,600 new homes in annexed East Jerusalem as Washington was trying to revive peace talks. 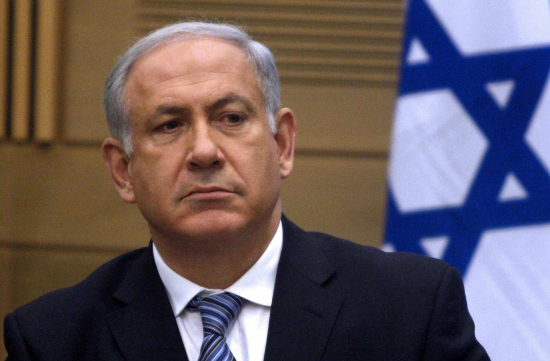 The move infuriated the White House and deeply embarrassed Netanyahu. Three former Israeli generals says that Israel should gradually relinquish control of the Jordan Valley as part of a peace treaty, reports Jerusalem Post. Maj.-Gen. (res.) Shlomo Brom, former director of the Strategic Planning Division of the General Staff and a senior researcher at the Institute for National Security Studies, told Jerusalem Post that there need to be a pure strategic discussion about the consequence of leaving the Jordan Valley, calling the politicians for ”leaving the slogans behind”. According to Brom the Jordan Valley is a ” artificial strategic asset”, something he believs both Prime Minister Netanyahu and Defense Minister Ya’alon is aware of. Brig.-Gen. (res.) 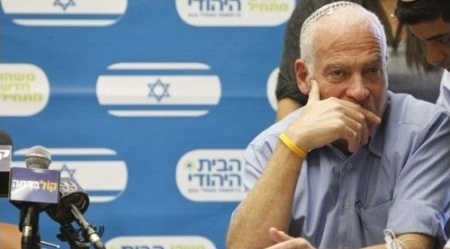 Gadi Zohar, former head of the Terrorism Arena for Military Intelligence, and current president of the Council for Peace and Security, said to Jerusalem Post that he believes that the Israeli military forces should stay in the Jordan Valley during the initial stage and withdraw when they see that the agreement works. Zohar also said that there are no need for Israeli settlements in the Jordan Valley, stating that ”these are a burden” from a military point of view. According to the Egyptian newspaper Al-Masry-al-Youm, Kerry has asked the Arab League to push the Palestinians for some concessions so that he can push the Israelis for something similar YnetNews report. The question of recognizing Israel as a Jewish state is however something that the Palestinians will not do. Israeli Prime Minister Benjamin Netanyahu said that Palestinian President Mahmoud Abbas's statements over the weekend show that he is not ready to make the decisions necessary to continue talks with Israel. Netanyahu's statements came during his meeting with the US Vice President Joe Biden Monday night, where both of them discussed the Iranian nuclear file and the current Israel-Palestinain peace negotiations. It's work mentioning that on Saturday, Abbas said that no peace agreement would be possible without East Jerusalem as the Palestinian capital. He also refused to recognize Israel as a Jewish State, a principle endorsed by Arab foreign ministers on Sunday. Yet, the most important issue he insisted on during his statment was the refugee issue. 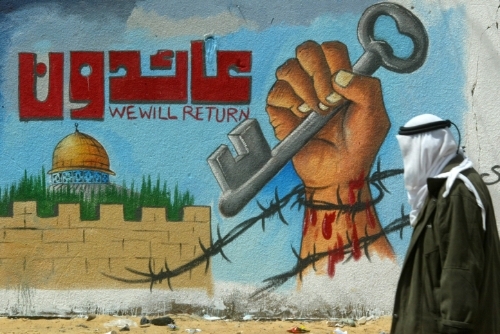 "Let me put it simply: the right of return is a personal decision. What does this mean? That neither the PA, nor the state, nor the PLO, nor any Palestinian or Arab leader has the right to deprive someone from his right to return," Abbas said. Palestinian Authority Foreign Minister Riyad al-Maliki met with US Secretary of State John Kerry on Sunday at the office of the US ambassador to Paris, a statement from the PA minister's office said. Kerry was in Paris to attend a meeting with the "Friends of Syria" group of mainly Western and Gulf countries opposed to Syrian president Bashar Assad. The US Secretary of State has also been holding shuttle meetings with Arab foreign ministers who are members of an Arab League committee to follow up on the Middle East peace process. Al-Maliki reiterated that the Palestinians oppose recognizing Israel as a Jewish state and insist that East Jerusalem becomes the future Palestinian capital. Arab diplomats support the Palestinian position on all major issues, al-Maliki added. 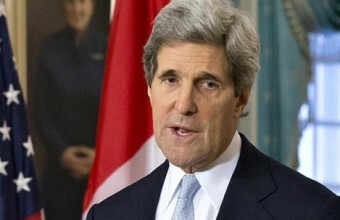 Kerry kick-started negotiations in July after a three-year hiatus. 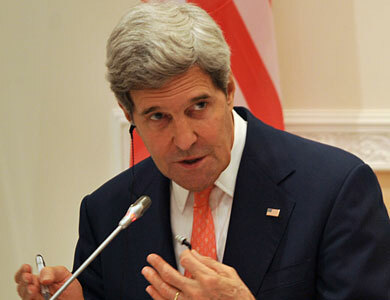 Us secretary of state John Kerry met with Arab leaders on Sunday to give an update on the latest developments in the peace talks. Kerry said that Washington is determined to bring Israelis and Palestinians together in a peace agreement and also emphasized that the peace process is in a very critical point right now. "Through the course of the last five months, President Abbas and Prime Minister Netanyahu have both demonstrated courageous and determined leadership”, Kerry said. ”They’ve made tough choices, and they are contemplating even tougher choices in the weeks ahead." John Kerry also said that the Arab foreign ministers support the Palestinian and Israeli leaders in their efforts to agree to a framework for permanent status negotiations. Hamas movement warned any local or Arab party against supporting the US secretary of state John Kerry’s so-called Framework Agreement. Fawzi Barhoum, a Hamas spokesman, said in a statement on Sunday that the Palestinian people did not authorize anyone to negotiate on their behalf and would not allow surrendering any of their rights regardless of sacrifices. Kerry is apparently determined on marketing his “disastrous” scheme as evident in his shuttle visits to the region and the meeting today in Paris with foreign ministers of the Arab follow-up committee, the spokesman said. He said that Kerry was exploiting the current state of Arab weakness and all American pressure cards to impose his scheme that only benefits American and Israeli goals and projects in the region. Barhoum said that Kerry wants to impose recognition of Israel as a “Jewish state” and to liquidate the Palestine cause. The Arab countries should support and protect the Palestinian people and their rights, steadfastness and resistance and to confront the American-Israeli plots targeting the Palestinian people and peoples of region at large, the spokesman concluded. 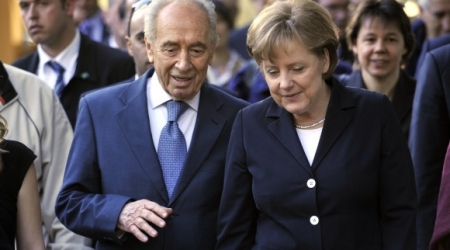 Israeli daily Maariv said in its Sunday edition that Germany is seeking to get rid of the historical burden towards the Jews and to make normal relations with Israel. The daily interpreted this as yet another deterioration in the relations with the Europe and a drop of the last pro-Israel European strongholds, given Germany’s opposition to colonial settlement building in the occupied West Bank. The relations started to deteriorate in September 2012, when Israel pinned hopes on Germany to thwart the Palestinian endeavor to gain membership in the UN. However, Israel wasn’t able to recruit the European countries to realize that objective, the daily said, which angered the Israeli state. It added that Germany has no trust in Netanyahu as one who believes in a two-state solution, arguing that he inherited his father’s belief that Israel’s land is undividable, which further adds to Israel’s isolation. That belief, according to the Maariv, heralds Israel’s loss of Germany, its dearest ally in Europe. President Mahmoud Abbas stressed Saturday that there will be no peace agreement with Israel without an agreement over Jerusalem. “Without Jerusalem there will be no peace between us,” Abbas told crowds from Jerusalem at his headquarters. “Without Jerusalem written clearly and in bold, there will not be peace with them,” he added. Abbas said he heard Israelis say that Jerusalem will not be on the agenda of a final peace agreement. However, he made it clear that the Palestinians are not going to give up on the fact that Jerusalem, occupied in 1967, is going to be the capital of their future independent state. Abbas said he went to the United Nations to achieve certain goals, which he said he did achieve them. “We went and we will continue on this path,” he said. Until then, he said, the Palestinians will remain steadfast in Jerusalem, in the West Bank, in the Gaza Strip and anywhere there are Palestinians. “We are not going to kneel to anyone or anything,” he stressed. Mahmoud Abbas said that the Palestinian right of return to their occupied lands since1948 is like marriage. He added, this right is personal and the Palestinians could choose and then decide what they want. Abbas added, the authority, state, organization or he himself could not deprive anyone from his right of return. "There may be several options, and the refugees are to choose. There are compensation and other choices,”." He said, pointing out that even the father cannot waive the right of his children, as a personal right. Palestinian farmers said that the Israeli occupation authority uses nowadays heavy construction vehicles and explosives to level the Palestinian land around the illegal industrial settlement of Ariel in order to expand the settlement for the building of more factories. They added that these settlement expansion works are taking place on Palestinian annexed lands near the farms of Abu Kayed and Abu Basal, west of Salfit city, noting that the expansion of this settlement would reduce the green areas used for grazing cattle. These annexed lands belong to Salfit city and the towns of Kifl Hares and Bruqin. The Hebrew radio had quoted Israeli premier Benjamin Netanyahu as saying that everyone knows that the settlement blocs of Ariel, Gush Etzion and Ma'ale Adumim would always remain part of the Israeli state as it is the case with Jerusalem. The European Union's foreign policy supremo said Saturday she was "deeply concerned" by what she said were "illegal" Israeli plans for more than 1,800 new settler homes. "I was deeply concerned to hear the latest announcement by the Israeli authorities to advance settlement plans once more," Catherine Ashton said in a statement. She added the settlements were "illegal under international law, constitute an obstacle to peace and threaten to make the two-state solution impossible." current efforts at peace talks were a "unique opportunity" for both sides. On Friday, Tel Aviv unveiled proposals for 1,076 units in annexed east Jerusalem and 801 in the occupied West Bank in a move the Palestinians said was aimed at forcing the United States to abandon its push towards Middle East peace.